climates in the Philippines in order to strengthen it. 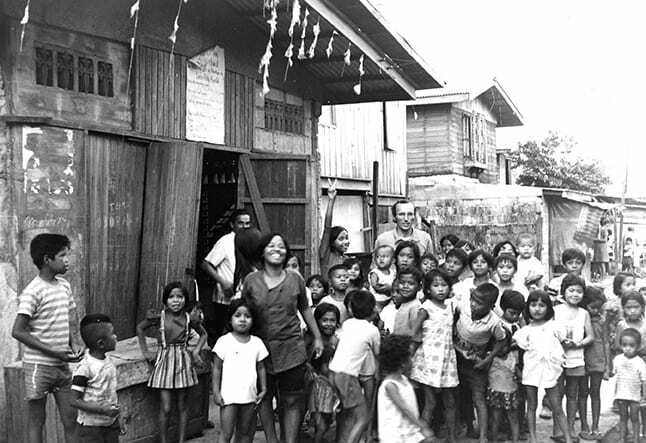 In the capital of the Philippines, PIME has known some of the most difficult situations in the midst of a dictatorship. When the local bishop, His Excellency Pedro Bantigue, (pictured with Fr. 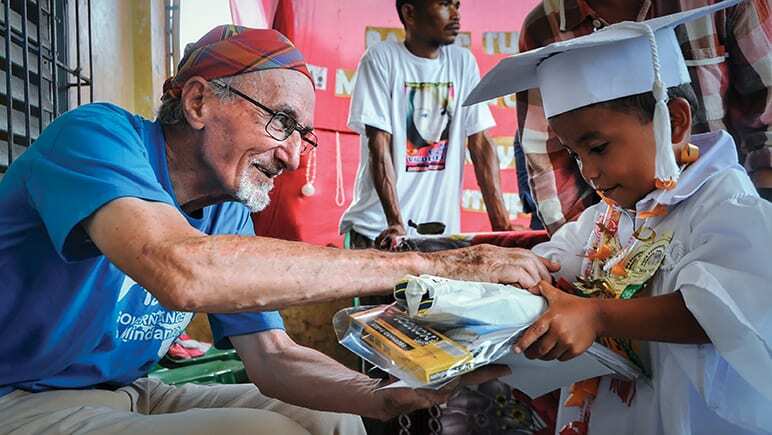 Bonaldo) called the PIME missionaries to Santa Cruz, the capital of the province of Laguna and a difficult reality also for socio-political reasons, he did so because he wanted to give strength and visibility to the Church in the most important city of his Diocese. 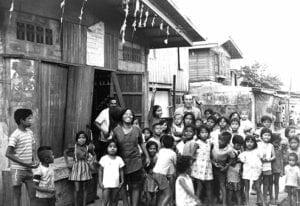 Santa Cruz (75 miles from Manila) had around 60,000 inhabitants at the time, 40% of them Roman Catholics and 60% “aglipayani” (i.e. 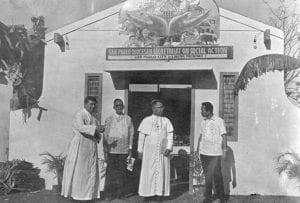 followers of an independent Catholic Church founded by Gregorio Aglipay). The majority did not attend any place of worship: educated people had moved away from religious practice, as the popular masses practiced a strongly superstitious form of Christianity. 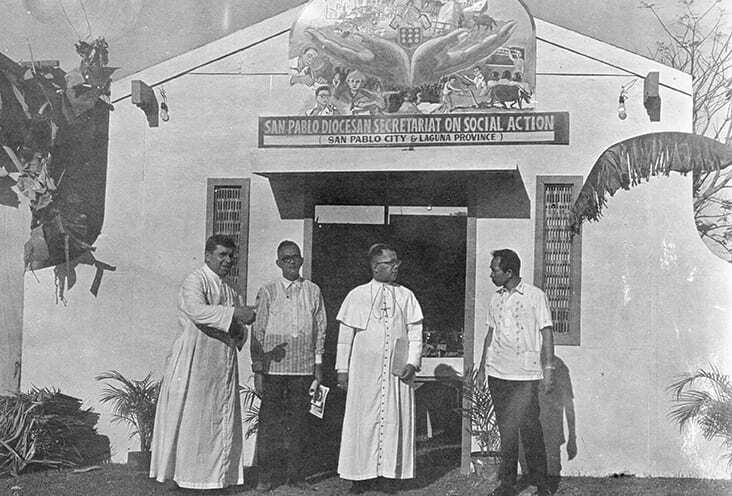 Although on paper it was a “Catholic” context, deep evangelization was needed. This is precisely what the first PIME Missionaries were dedicated to carry out: they organized catechism, a parish council, stimulated the laity to commit themselves, introduced a participatory liturgy, “cleared” the churches of an exaggerated number of statues and sacred images. and the often forgotten tribal peoples. Fr. Peter has always managed to find the beauty here.